Separate motor / transformer isolator bays, with top cable entry for 3ph armoured cables. Manual handle / isolator door interlocks. Auxiliary switch terminals accessible at the top of the panel. 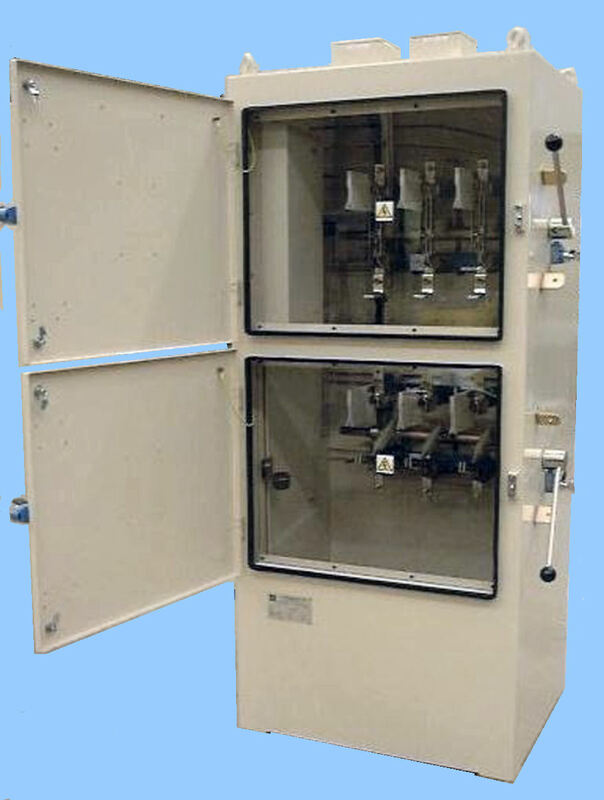 Two MV(1-0) manual isolators on load.